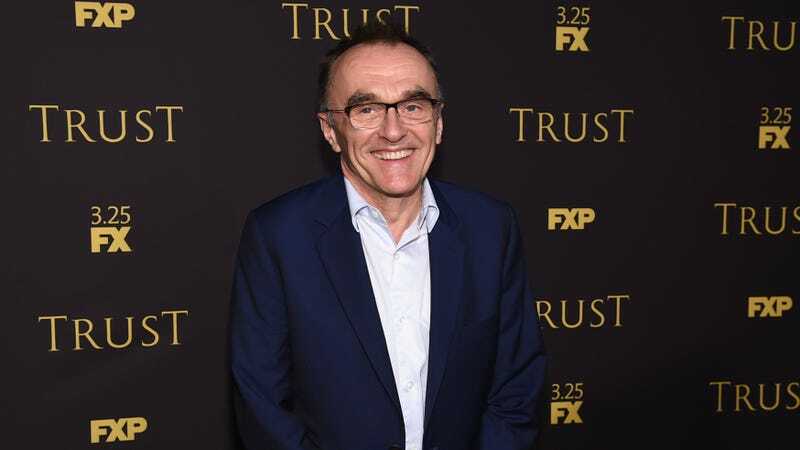 Confirming a few years’ worth of hints, rumors, and even the occasional outright statement, BBC News reports tonight that Danny Boyle has been officially confirmed as the director of the next Daniel Craig-starring James Bond movie. If we’re going to get all fiddly about it—and hey, why not?—this is actually the second time Boyle will have worked with Craig’s 007; he previously shot a short film with him as part of his elaborate production of the opening ceremony for the 2012 London Olympics. Boyle’s been considered a shortlisted candidate for a Bond film for years, though, and, since Sam Mendes stepped away from the franchise after 2015's lackluster Spectre, it’s frequently been suggested that his fellow Oscar-winner would be the next guy to get an at-bat. There’s no word yet on what the plot of this 25th Bond movie will be, although our keen pop culture instincts suggest it’ll involve glowering, guns, and some kind of elaborate, semi-silly super-terrorist. Boyle’s old Trainspotting screenwriter, John Hodges, is writing the script, while Craig—who spent months hemming and hawing about whether he could summon up the fucks for a fifth spin in the role—has confirmed that he’s on board to star.